We all travel for different reasons; be it business, for an enjoyable getaway with the family, quality time with your partner or simply to spend some time with yourself as you wander the earth. Whatever your reason may be — and they’re excellent reasons too — when you discover the world, you discover yourself. But when you need a little something extra, take these paths to enlightenment. 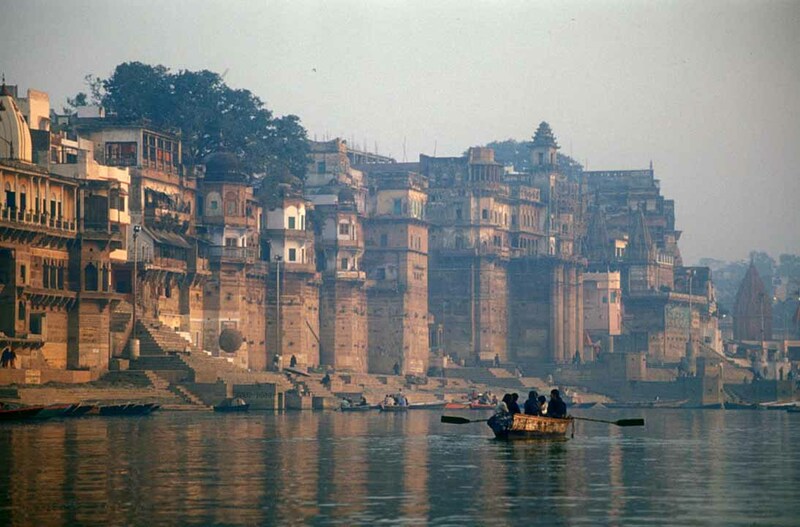 Known for: Being Hinduism’s holiest river, attracting thousands every year that take the 24 kilometer pilgrimage. The track begins at Ganotri and takes you through the beautiful Himalayan valleys. The final destination is Gamukh, where pilgrims perform offerings called darshans at the ice wall. But of course, how can we talk about India without touching on yoga? From there, you should make your way to Goa for a stay at one of the many ashrams; sacred homes to traditional yoga practice where you can also study Hindu teachings. Plus point: You’ll befriend a couple of monks. Known for: Located on the west of Chiang Mai, it’s one of the most important Buddhist monasteries and temples in Thailand. Known also as the Temple of the Lion Buddha, it was built in 1345 and is said to be the first monastery to house the Emerald Buddha, which is now safely enshrined in Wat Phra Kaew in Bangkok. The 700 monks whom reside here are known for being extremely welcoming to tourists, in fact often creating conversation so they can practice their English! So many temples, soooo many miles. Known for: The 1,500 kilometer pilgrimage walk through its 88 temples. That definitely sounds like a challenge but fret not, you can also travel along the path by bus. What’s so captivating about this particular pilgrimage is the significance of the number 88; defined by the Buddhist doctrine as the number equal to the evil human passions. Taking the Temple Circuit walk will free you from these passions. Who doesn’t love a good backstory? Known for: According to legends, the indent on the summit of this peak is the spot where Adam first set foot on earth, a footprint left by Buddha, Lord Shiva or St Thomas. Even if you’re not looking for something with a religious significance, the trek promises amazing views. The hike is most popular between December to May, when the whether is at its best. On a truly beautiful day the view stretches all the way to Colombo, some 65 kilometers away. More reasons to love Bali, just in case you needed another one. Known for: The Sacred Ubud Monkey Forest follows the Hindu principle of Tri Hata Karana, which means “three ways to reach spiritual and physical well-being”, through harmonious relationships among humans, between humans and nature and between humans and God. Perfectly fitting, the nature reserve is home to 115 species of trees, about 500 monkeys and three Hindu temples built in 1305. You should if you could. Known for: The 20 Eastern Orthodox monasteries with its super strict entry-permit system — only 100 Othordox pilgrims and 10 non-Orthodox pilgrims can enter at one time, and only men over the age of 18 can visit. Obtaining a permit is just as strict — non-Orthodox visitors must apply for one six months ahead, and the permit only allows for a four day maximum stay. The hassle is worth it, according to those who have found enlightenment visiting each of the monasteries along the 2,033 meter-high mountain in Northern Greece. You can and you DEFINITELY should! Known for: Being the largest religious monument in the entire world, and a beautiful one at that. Located in Siem Reap, Angkor Wat is the best-preserved temple in the site. It was originally a Hindu temple that transformed into a Buddhist temple towards the end of the 12th century. Today it attracts thousands of nomads for its Khmer architecture that represent Mount Meru; home of celestial beings called devas, as well as its devatas carvings in its walls.